We try to take every opportunity to highlight reef conservation activities here at AquaNerd, and chances are you have heard us mention the Coral Restoration Foundation a time or two. Often abbreviated CRF, this Florida-based operation has a simple, yet ongoing goal of coral reef preservation that has been successfully achieved time and time again thanks to spectacular leadership and community involvement. 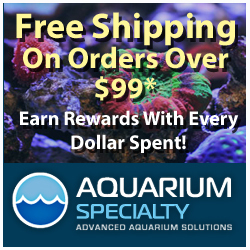 Despite immense support from the aquarium industry, however, the goals of CRF are just too important to passively promote, and in response to that, CRF has just opened their brand new Education Center to the public. During the February 1st grand opening, around 200 people showed their support for CRF by socializing with staff and board members, browsing wall-mounted information panels, watching coral nursery videos, and gazing upon the 500-gallon display aquarium that houses nursery-grown corals. Needless to say, the grand opening was a success. Food and beverages were provided, and CRF President and Founder Ken Nedimyer was wondering throughout the crowd, mingling with all of the organizations supporters. According to CRF, the goal of the Education Center is to serve as the headquarters for educating the general public about the degrading reefs of the Florida Keys and the ways that CRF is helping to restore them. 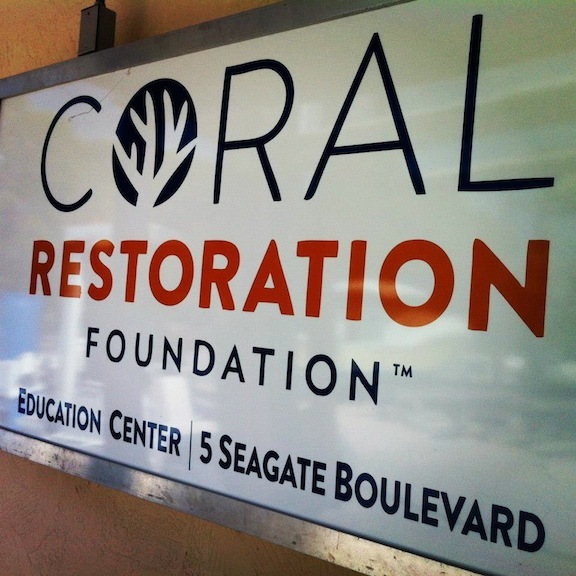 Visitors can stop in during the week to learn how to become more involved with coral restoration in Florida.